Lately I’ve been thinking about the people we have met in our 40 plus years of business. Yes the lighting has been the connecting point but the added joy has been the people we have become aquainted with. Always stories rich in appreciation of life and history. The business relationships we develop are built on trust. Thanks for your continued business, we are looking forward to many more years of partnership with you in preserving these rare examples of Bradley and Hubbard cast iron kerosene fixtures. My husband and I have had the joy of doing “business” with the Trotters. 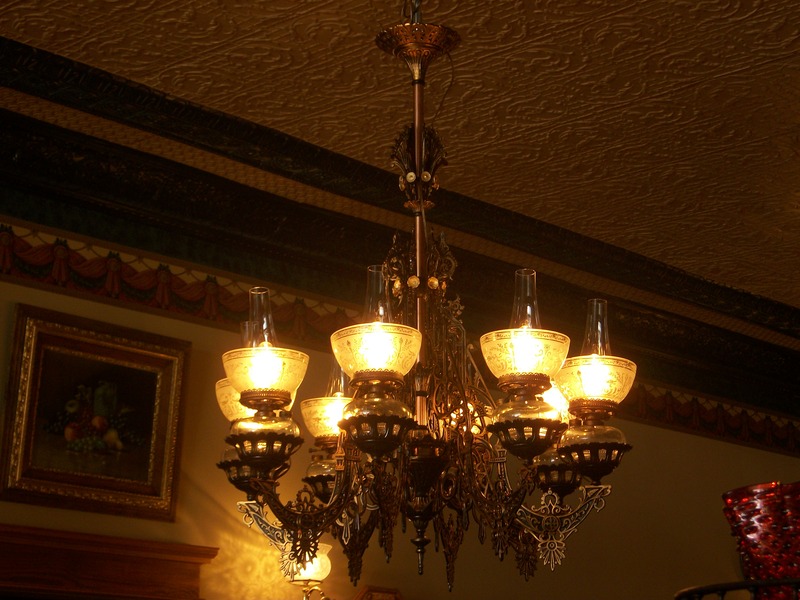 I came across an ebay posting for a four arm Bradley and Hubbard chandelier and went to visit in person. I found a wonderfully warm and caring family that restores these pieces of art with love. Fortunately for us, they allowed us to “adopt” four of their creations. I thank them for the joy they have brought into our lives, just by them following their passion to bring these works of art back to life. It takes very special people to give so much of themselves. Again, much love and thanks. Thank you Carol and Tom! During the delivery and installation process, it was a sincere pleasure getting to know you both. Your choice of fixtures are a wonderful complement to your already beautiful home. We really enjoyed the entire experience and the new friendship we have in you both! Thank you for your investment in preserving these fixtures. We trust you will enjoy them as we have for many many years to come!